New at the Vila Moj Mir Inn – accommodation available from October 2017! If you want to spend a quality and active vacation or weekend break in harmony with nature, the Vila Moj Mir Inn*** is the perfect choice for you. 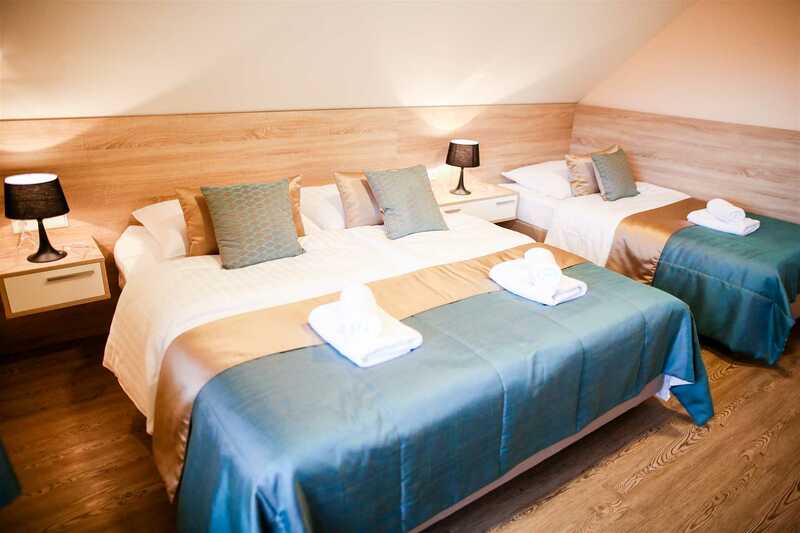 We have four double and two triple rooms with a kitchenette. Every day we prepare quality breakfasts, and if you desire a tasty lunch or dinner we recommend a visit to our exquisite restaurant. For more information, write to info@gostilna-mojmir.si or call +386 (0)51 366 305. You can find us in an environment that is suitable for all who enjoy activities in nature. Those who like to cycle, roller-skate, run and hike ... are welcome at our inn. 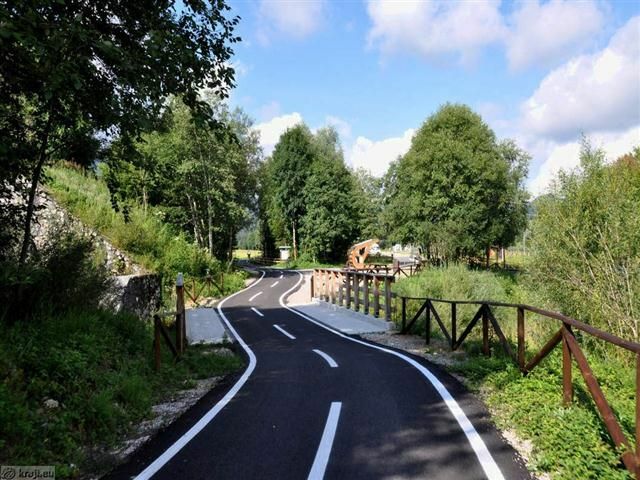 There is a cycling trail close to our house, which is a part of the European cycling route network that connects Slovenia with Italy and Austria. 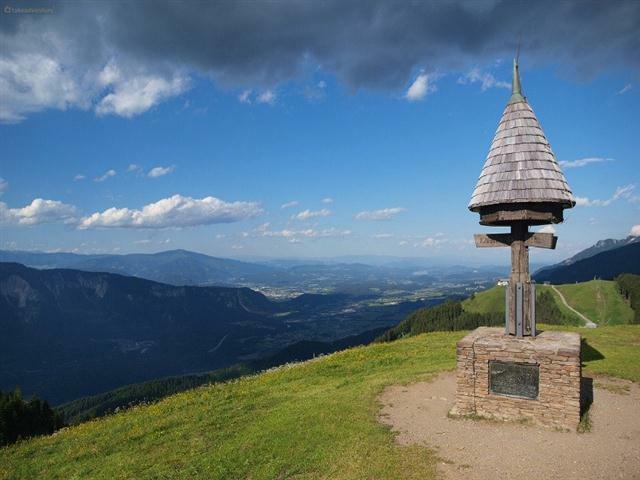 We are surrounded by hills, like the Tromeja or the Triple border (Peč – 1508 metres above sea level), with a magnificent view of our valley that is the perfect terrain for hikers. 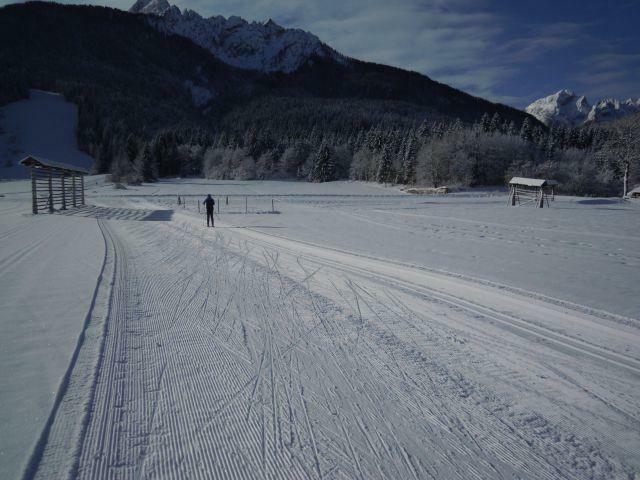 In the winter you can also descend from the border on sledges or touring skis, while just a few hundred metres from our inn you can try out the well-arranged cross-country skiing tracks with a total length of 35 kilometres. You can also borrow or buy cross-country skiing equipment or take a course in cross-country skiing. All skiers are also welcome! 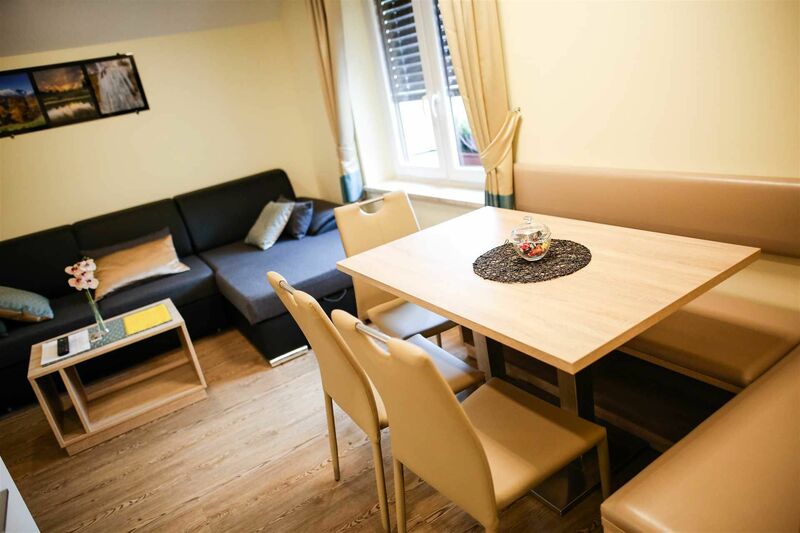 We are five kilometres away from the Kranjska Gora Ski Centre, three kilometres from Podkoren and the world-renowned Vitranc (ski slope that hosts the world cup competition every year), among other ski slopes in the area. You can also teach your little ones to ski on the children's ski slopes in Planica or drive to Tarvisio, in Italy, where you can spend a wonderful day at the Monte Lussari Ski Centre (20 km from our house). 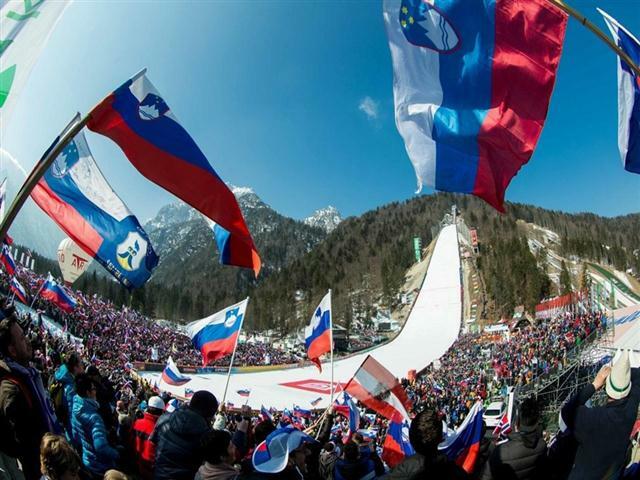 We have to mention the famous Planica, which hosts the ski jumping World Cup every year. Other events are organised all through the year at the Nordic Centre (renovated in 2015), such as national and international competitions in ski jumping, cross-country skiing, Nordic combination sports, the Oviratlon, the Red Bull 400, and more. You can also visit the Planica Museum, try the wind tunnel and experience the feeling of flying or boost your adrenaline by zooming down the zipline. Walkers or hikers can go from Planica to Tamar, which is also a famous hiking spot with an Alpine hut. 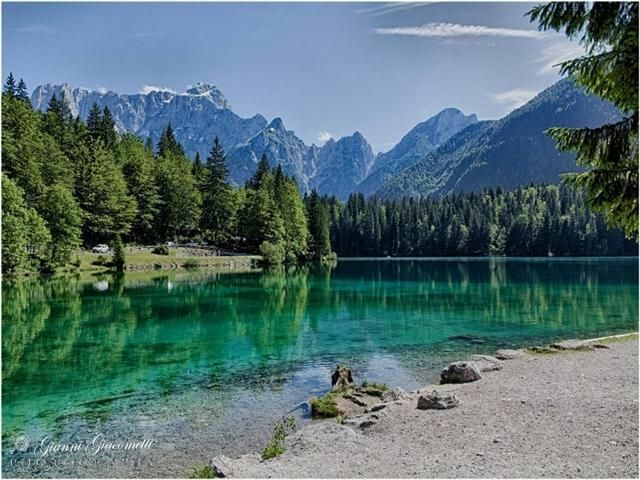 You can be bedazzled by the blue-green colour of the Laghi di Fusine Lakes (4 km), and by the view of the magnificent Mangart mountain (2679 metres above sea level), while we probably don't need to say any more to experienced mountaineers about the other two-thousand-metre- high mountains that surround us. All skiers are also welcome! 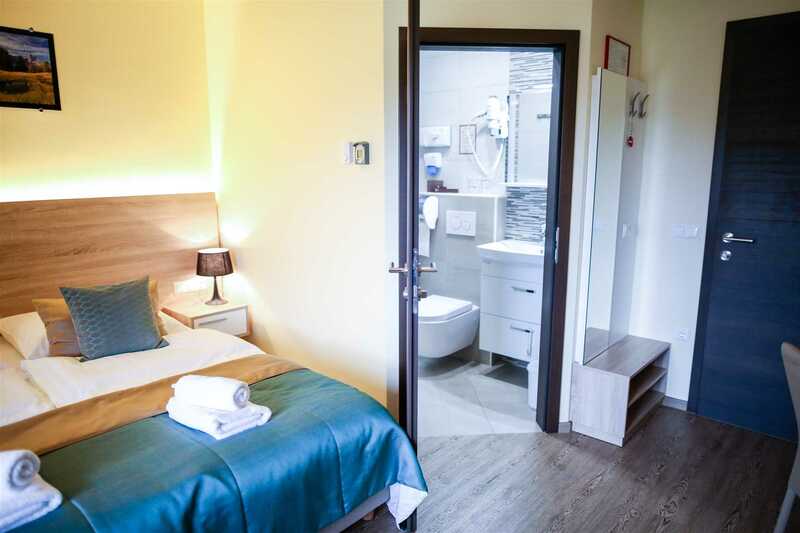 We are five kilometres away from the Kranjska Gora Ski Centre, three kilometres from Podkoren and the world-renowned Vitranc (ski slope that hosts the world cup competition every year), among other ski slopes in the area. You can also teach your little ones to ski on the children's ski slopes in Planica or drive to Tarvisio, in Italy, where you can spend a wonderful day at the Monte Lussari Ski Centre (20 km from our house).. The nature here is unspoiled – come and explore it by yourselves! We probably don't need to say any more to experienced mountaineers about the other two-thousand-metre high mountains that surround us!